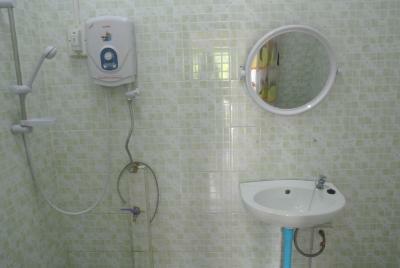 Lock in a great price for View Khemkhong Guesthouse – rated 9.3 by recent guests! Everything there was perfect! The owners are very nice and helped us a lot with everything we needed. 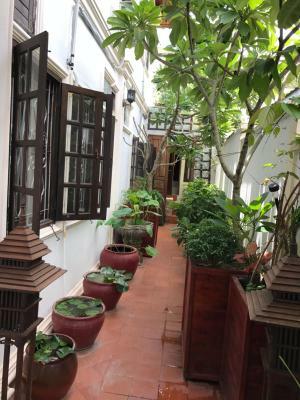 There is a nice terrace with a beautiful Mekong view in front of the hotel. Very good breakfast. The owner is very friendly and helpful. Mosquito screens in the windows (good for airco haters like us). Our host Eric was very helpful and his staff were friendly. They made our stay in Luang Prabang enjoyable. Wonderful staff. Cozy room, but all we really needed. Great location across the street from the river in the old town. Easy walk to night market, sites, and other good restaurants. 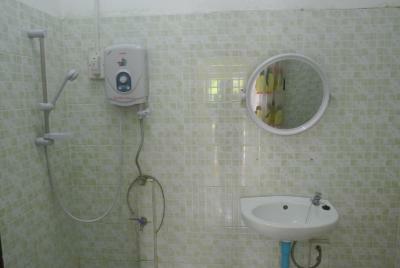 Beds were comfortable and shower room worked well. Breakfast was good and everyone was very nice. Helped us get laundry done, and organize transport. Choice of rooms! Excellent friendly service! Air Con even thought it was describe as a fan room! Eric was so helpful and friendly. Gave us great tips. Breakfast along the river was very nice. I loved everything about my stay here. Eric and the entire staff were so wonderful and went out of their way to ensure I had everything I needed. The café on the river was beautiful and had very nice food. The location was perfect - in walking distance to everything. I can’t recommend staying here enough. Thank you for everything and I can’t wait to return in the future! Nice small and cosy hotel. 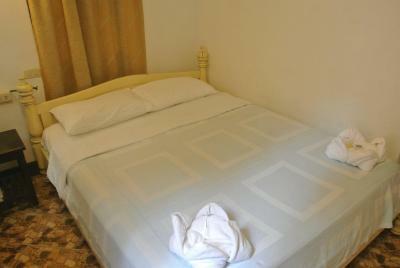 Rooms a little small but very clean, good airco, good beds. The hospitality which Eric shows makes this hotel very special. He is always willing to answer your questions and help you. My husband was ill some of these days and he did help me when possible and even gave me free toast and coffee!!! When you would like to stay in Luang Prabang I certainly recommand this hotel and the restaurant with river view. Good value for your money and close to the evening market. Loved my stay at View Khemkhong. The staff and especially the owner were amazing! Very helpful and knowledgeable with the best sites to see while I was there and the room was always fully stocked with bathroom necessities and water etc. The restaurant across the street had a great view of the water and was excellent as well. Very relaxing sitting there with some delicious coffee and food. Would definitely recommend and go back! Thanks again! The location of the guesthouse is really a plus point! Located right opposite Mekong river and the night market is just the street behind it. 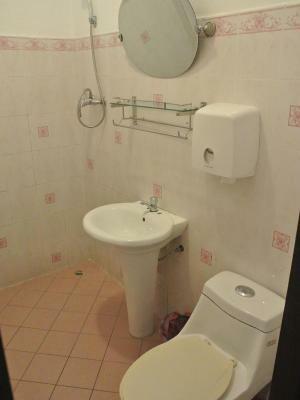 Everything is within few minutes of walking distance. 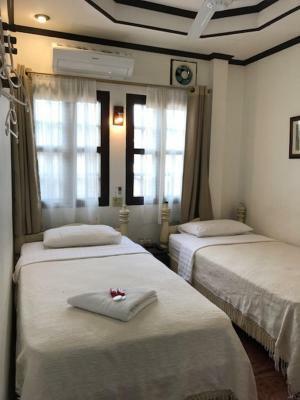 View Khemkhong Guesthouse This rating is a reflection of how the property compares to the industry standard when it comes to price, facilities and services available. It's based on a self-evaluation by the property. Use this rating to help choose your stay! 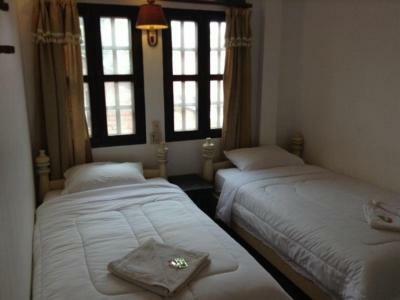 View Khemkhong Guesthouse is located in Luang Prabang, a 10-minute walk from Night Market. 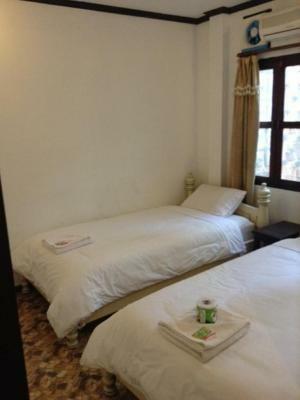 Located around 0.6 miles from Mount Phousy, the guesthouse is also a 12-minute walk away from National Museum. 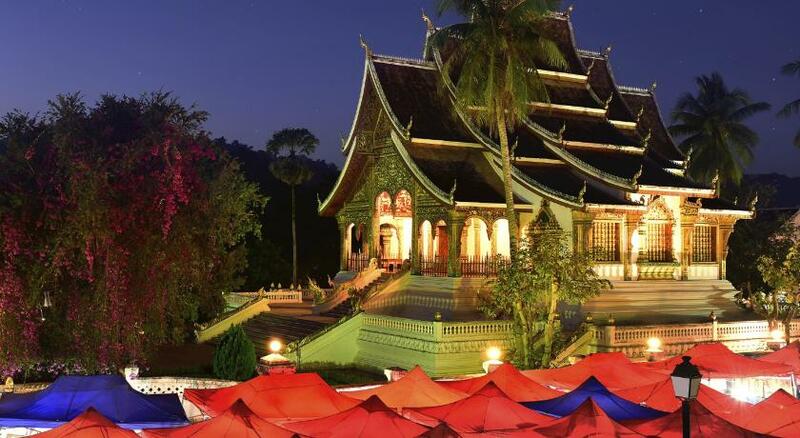 Wat Xieng Thong is 1.4 miles away and Cross River Ferry is a 4-minute walk from the guesthouse. At the guesthouse, all rooms are equipped with a desk, a flat-screen TV, a private bathroom and bed linen. 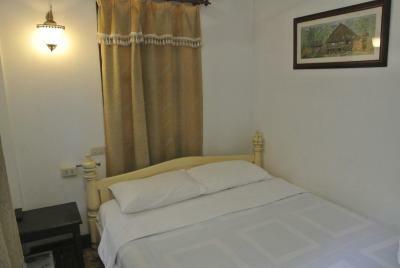 At View Khemkhong Guesthouse, the rooms include a seating area. 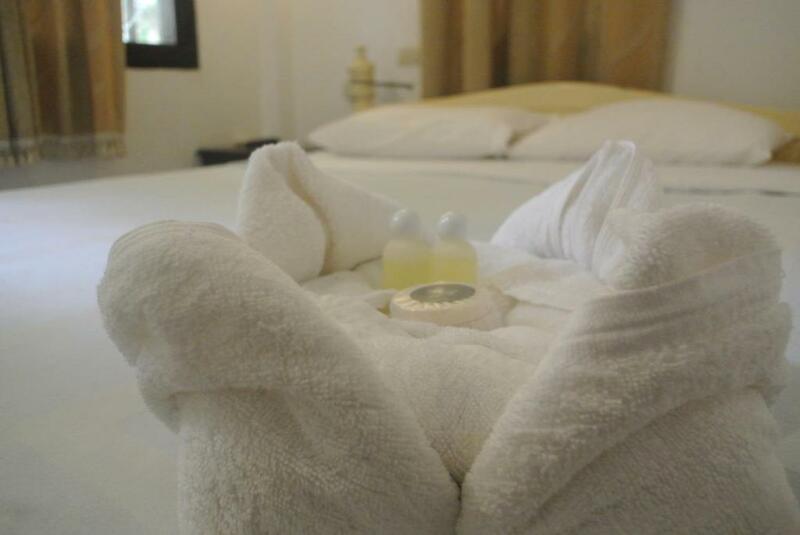 Haw Pha Bang is half a mile from the accommodation, while Wat Xieng Mouane is a 14-minute walk from the property. Luang Prabang International Airport is 3.8 miles away. 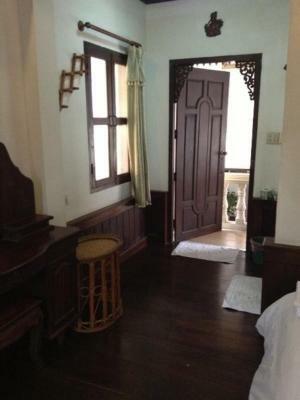 뀐 Located in the top-rated area in Luang Prabang, this property has an excellent location score of 9.7! When would you like to stay at View Khemkhong Guesthouse? House Rules View Khemkhong Guesthouse takes special requests – add in the next step! View Khemkhong Guesthouse accepts these cards and reserves the right to temporarily hold an amount prior to arrival. The room is a bit small, but it wasn’t a problem for us. The staff and the owner were fantastic. I would recommend this place to anyone. 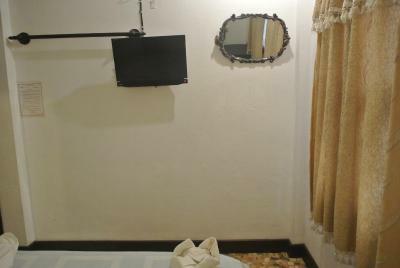 The rooms were very small considering the price we paid. Room on the small side. No view. Spotlessly clean, restaurant opposite hotel. Engaging, helpful proprietor (Eric). Gave useful local information. Excellent restaurant and nice food. Lovely view across river. Eric was very kind in supplying a complimentary breakfast when we had an early start. Quiet despite on main road. Free access to water. Thoroughly recommended. If any, that toilet seat in room 204 is really annoying. If you sit down, the cover falls on your back. This was almost a perfect stay. Yes, the room is small, but the other things make you forget that. Beds were comfortable, for Asian standards. Shower was nice, enough water pressure. Location is close to everything. Eric is a great host, arranging a private minivan to Kuang Si waterfall and a tuktuk to the airport. Also very convenient to have meals at the restaurant across. You can pay for that by credit card afterwards on check out. And the meals are good! AC struggled a bit. Room was small, so not much storage room -- not a problem for us, but if you have multiple bags, this room could be tight. The owner Eric made our stay delightful! He exceeded all our expectations !!!! Rooms a little small but it was not a problem for us. Great location, friendly staff always ready to help. Great restaurant with amazing views. Located in the centre. Staff and managers are fantastic and helpful ! Fantastic staff, extremely helpful, offerred to keep my scooter inside for night. The building and the room were fantastic. All in colonial style. Beautiful, peaceful area of Luang Prabang. Everything was great. 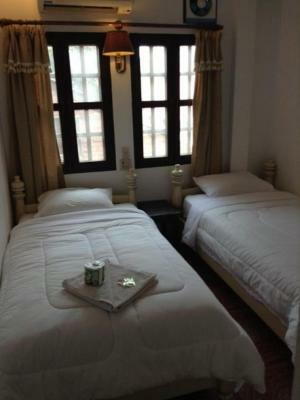 If we would go back to Luang Prabang this is where we would stay again. The host is a cool guy and he is able to provide advice about anything you might want to know as a tourist in this city. 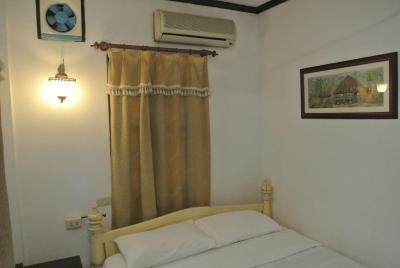 The restaurant that belongs to the guesthouse is excellent and dishes are very reasonably priced.